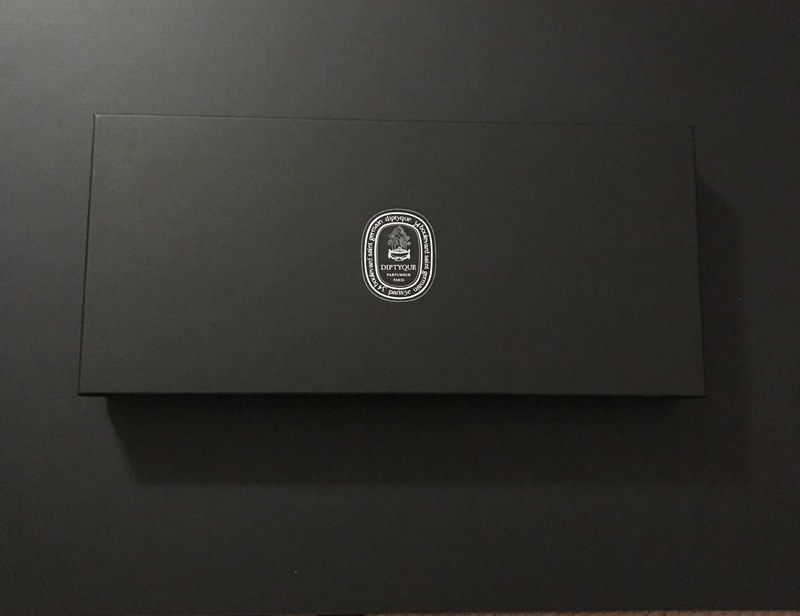 Well Christmas is the most wonderful time of the year so it is only right that I treat myself to something a little bit special before the big day. Plus I missed out on the Liberty Advent Calendar this year so this will make up for it. 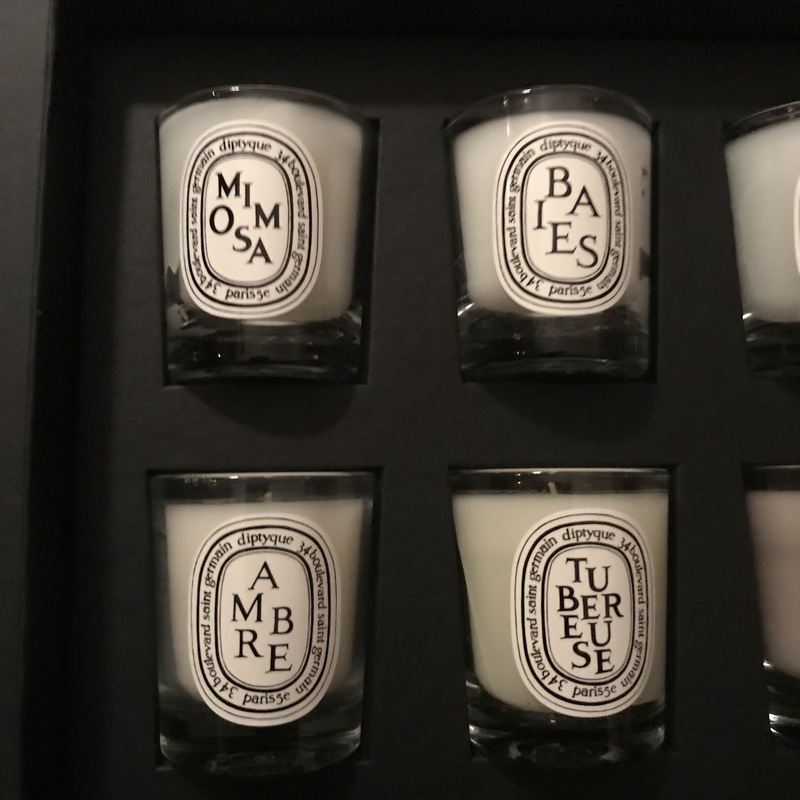 So what is better than a candle gift set from my favourite brand of the moment Diptyque. 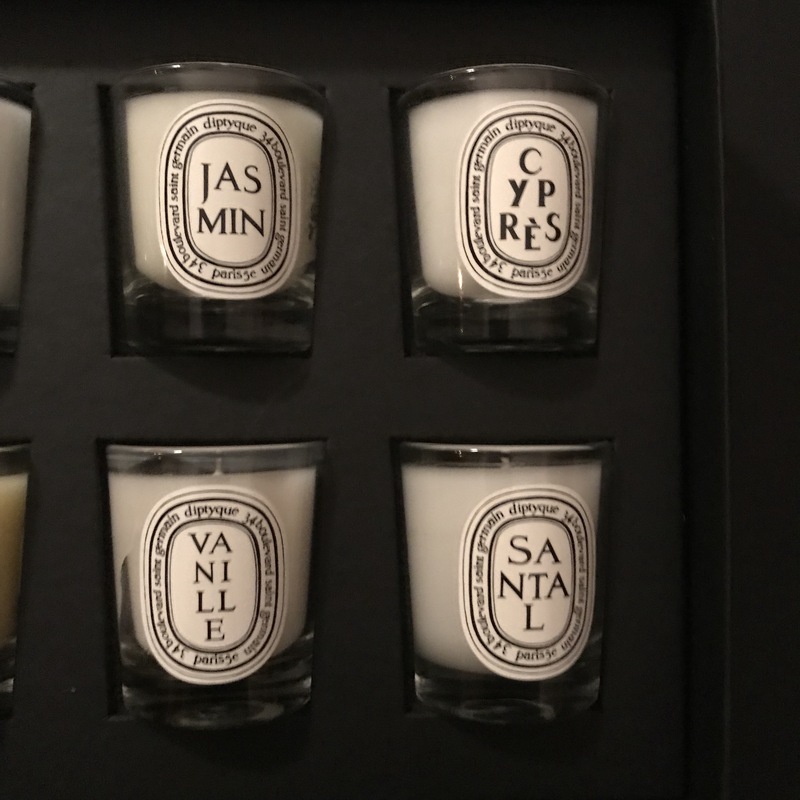 Now I know that it is not the cheapest of things (£120 exclusively from Space NK) but if you have ever had a Diptyque candle you will know why I was willing to pay the price. So first off lets just marvel in the beautiful packaging that you candles are encased in. 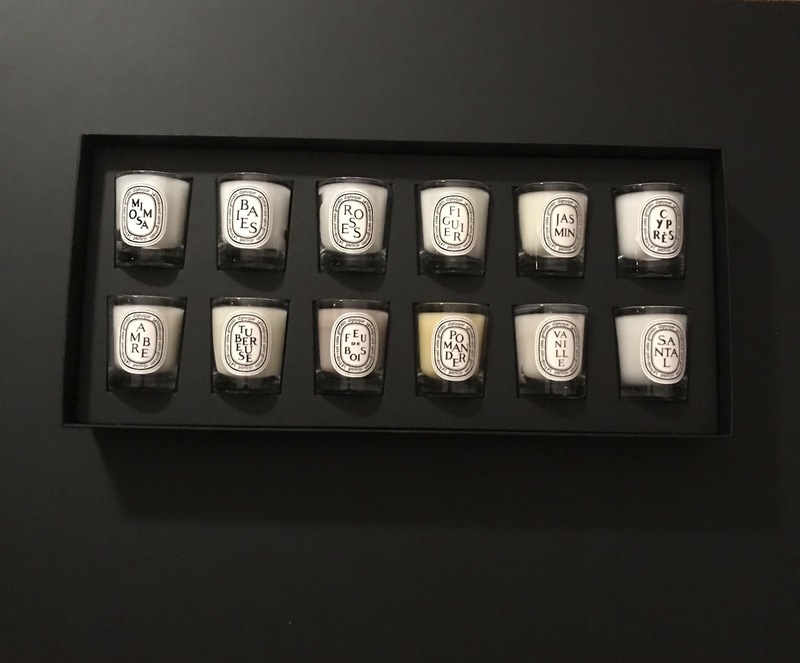 Once you open up the box you are greeted by 12 of there classic scents all in 35g form. 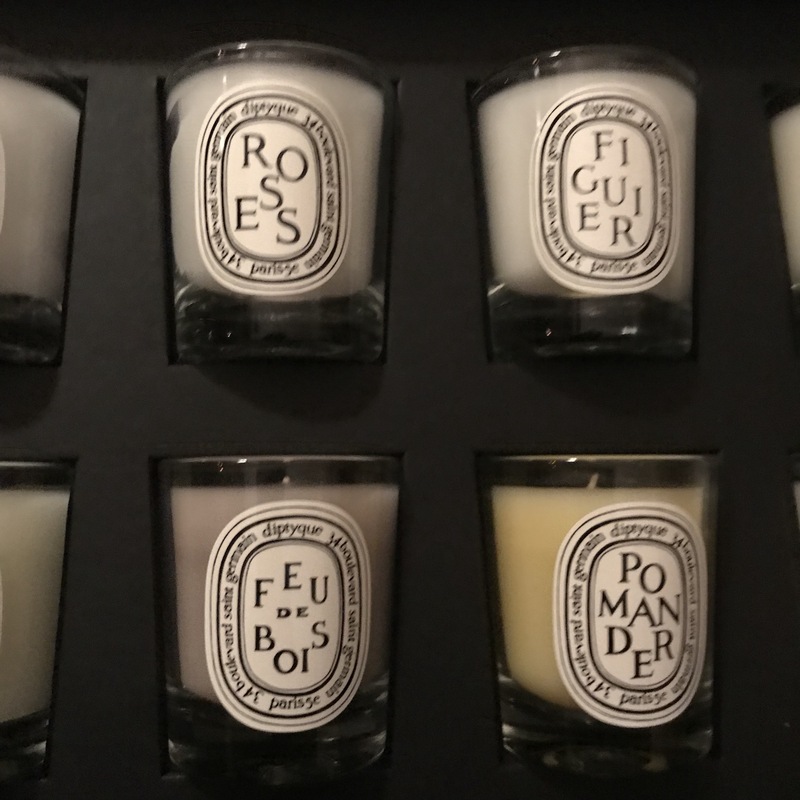 So you are actually spending £10 per candle for this set which is a very good price considering there 70g candles normal retail for £24. 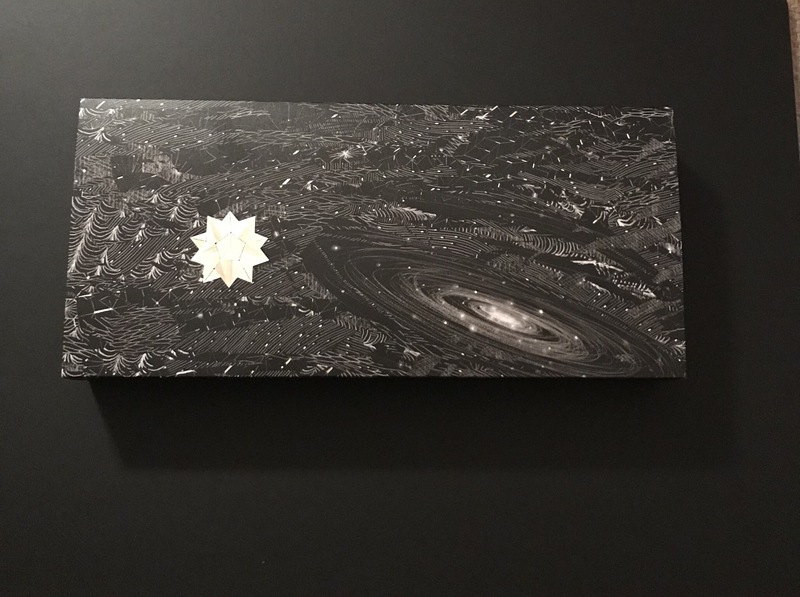 When you have a £50 Space NK voucher to spend….